Blata - brilliant bikes for budding stars. Depending on what type of blata mini motos you have, engines vary to up to 13HP and you can speed along at 50mph on some makes. Pavel Blata started into the hobby of building pocket bikes in 1990, never realizing how it would affect his future and the future of racers across international lines. This Czechoslovakian company couldn't have started or would have taken far longer, had it not been for a chance meeting with Rastislav Brodsky during a Prague automotive exhibition. It didn't take long for the two to discuss designing a new scooter, later called the Blatino scooter. They both loved racing and because of that, introduced their Elite 11 pocket bikes during races held in 1993. 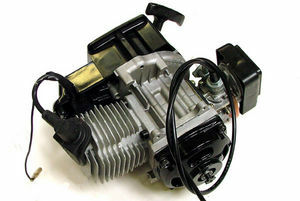 The face of Blata mini motos grew and evolved from there, acquiring international fame along the way when they introduced innovations and slicker models designed for speed. 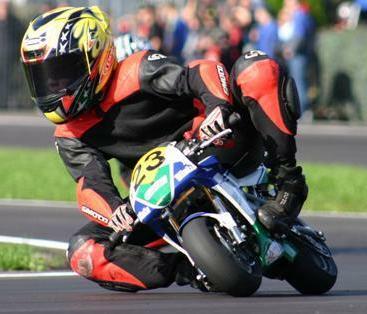 Often the newbie racer picks a Blata mini moto because they have good quality at a reasonable price. 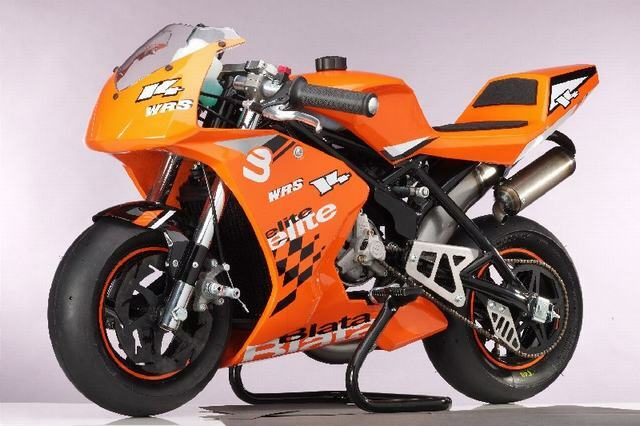 They were the first Czechoslovakian company to use computer technology for a bike's entire design and had many other firsts, including the Blata-built engine for the Blata Elite 13. What a typical Blata bike has........ Measurements include the bike coming in at roughly over 1.5 feet high, 3 feet long and only weighs 48lbs. Interested in Blata mini motos ? Well you'll be heading off to www.blata.co.uk, but before you go take a look at some of their offerings. If your talking Blata mini motos - then the Origami B1 in Red / Yellow will be your first stop. They not only look stunning, but are highly engineered and can move at 60+ MPH! There are some Chinese bikes out there that look like these, but the real deals will cost around : £1,299. They have 2 stroke, 1 cylinder engines, with a pull start and auto clutch. Made from light alloy with front and rear disk brakes, and boy will you need them. For us dirtbikers they build some street legal dirt bikes and amazing enduro dirt bikes. 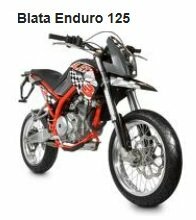 Like the Blata Enduro 125 and the Blata Motard 125. These dual sport bikes have 4-stroke, air cooled single cylinder engines. Ideal for many a dirt bike track (with the right tires of course), with a robust motor. Another Blata mini moto model you should consider is the Blata minimoto elite 4.2, with a very strong frame and proper starter its not a cheap kids mini bike - so you may not see it in any kids bike ads on ebay just yet. But for a great second hand bargain it's a worthwhile Blata machine. We have seen great reviews on this ride, and there are many used blata mini moto 2 stroke bikes, and full sized MX style bikes floating about. So the choice is yours either visit the blata bike shop for new models, or do some digging and save hundreds of dollars. But if you buy used Blata's, dont forget those all important safety checks.